Spring is here for Billings and the mountains aren’t far behind us. It’s time for summer Brides to start putting the final pieces of the puzzle together and finish planning their upcoming weddings. 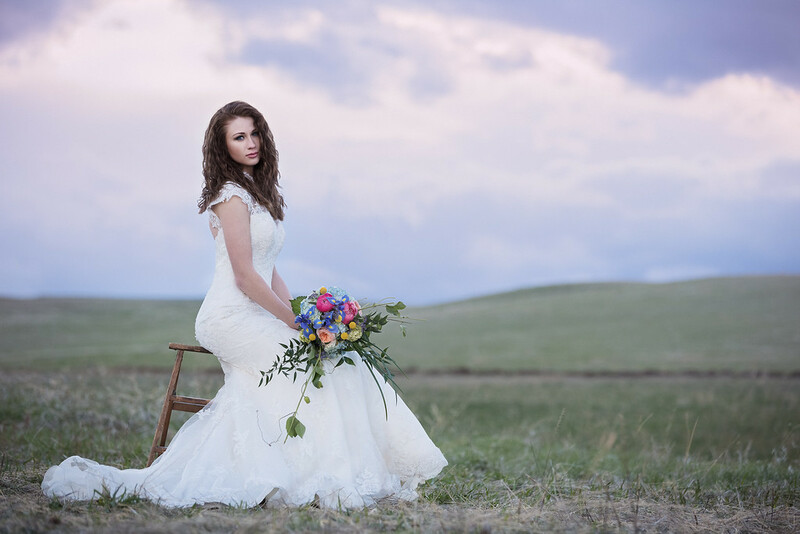 For Montana wedding vendors it’s kind of the pre-season, where we start to have a few early season weddings while we gear up for the summer wedding season. Many wedding vendors are booked entirely for 2015 at this point, so any brides still making decisions had better hurry! For brides looking for wedding design, planning, rentals, or florals, I’d highly recommend the team that brought together this shoot, with Katie Bennett and Cassie LaGreca at the helm. These two ladies are raising the bar for Billings Montana weddings and we are lucky to have them here. Thanks to everyone who made this shoot possible. Tips for brides: Get your planning done early for a stress free wedding. If you’re a summer 2015 bride, hopefully you’re already finishing up your wedding planning and putting the final touches in place. If not, or if your “to do list” is starting to get overwhelming, now is the time to call in the pros to help you out. Professional wedding designers, coordinators and planners can get you back on track for your wedding. They are well worth the peace of mind they bring, and without them you’ll almost certainly be stressed out on your wedding day, even if things go well, and that’s not how you want to look back and remember your day. If you’re a DIY bride and moving forward alone, my best advice is to temper your expectations and not be too hard on yourself for expecting perfection on your first attempt to create a wedding. Even pros with decades of experience make mistakes every now and then, so don’t expect you will get it perfect on your first try. About 24 hours before your wedding day you need to just let go of the reins and enjoy one of the greatest events in your life as it begins to unfold (and let your family, especially your mother enjoy it too, without having to do a bunch of work). Spend time with your family and friends that have come to see you and relish every moment of it. Because when the wedding is over, it’s the feelings you had on your wedding day that you will remember, and you want it to be all love and friendship, with no stress. For more wedding photography posts and tips for brides click here.